(VOV) -The US news cable CNN has arrived in Vietnam to produce a reportage on traditional Vietnamese martial art (Vovinam). 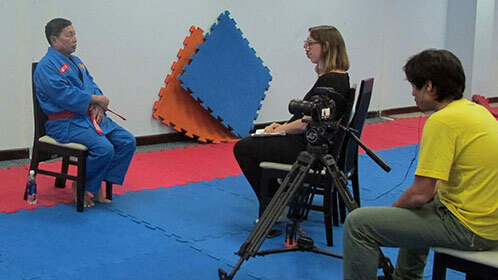 The CNN crew interviewed Vice President of World Vovinam Federation (WVVF) and International Technical Director for the WVVF, Master Nguyen Van Chieu who travelled to 20 countries across the world to teach and popularise the Vietnamese martial art. The reportage was conducted at HCM City’s Phu Tho Competition Hall and is expected to be screened on CNN’s “Human to hero” programme which aims to introduce and honour famous athletes. Previously, the programme also launched a number of reportages on well-known persons including Formula One racing driver Fernando Alonso and French football player Patrick Vieira. Currently, Vovinam presents in 50 countries across five continents.